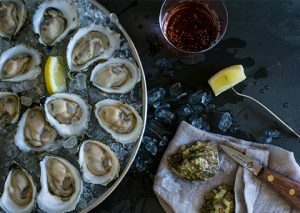 Oysters to your door - Shipped Overnight For Free! Harvested daily. Shipped overnight. Free Overnight Shipping. We grow the world’s finest oysters and have a damn good time doing it. THE FARM IS AT THE HEART OF EVERYTHING WE DO HERE AT ISLAND CREEK. A MUDDY, WINDSWEPT FLAT IN DUXBURY BAY IS WHERE IT ALL STARTED AND WHERE IT WILL ALWAYS REMAIN. HERE IN OUR OWN BACKYARD WE GROW FOOD–THE KIND THAT’S GOOD FOR THE PEOPLE WHO EAT IT, FOR THE PEOPLE WHO GROW IT & THE PLACE WHERE IT IS RAISED. WE HOPE YOU LOVE EATING OUR OYSTERS AS MUCH AS WE LOVE GROWING THEM. At the end of the day, we are all about FLAVOR here at Island Creek. It is in this eternal quest that we have plunged into our next great fixation—caviar. Truffles and foie gras, tuna toro and kobe beef come to mind as being in the same class of decadent flavor; however, there are few things in this world that can deliver every taste of the rainbow cranked to 11 all at once—salt, umami, butter, brine, nutty, earthy. Top notch caviar is said to be able to contain a whopping 17 discernible flavors and aromas. Caviar’s greatest shortcoming is probably that it can be intimidating. Like picking a bottle of wine from an extensive list (or, ahem, an oyster off a raw bar menu) the choices can be disorienting and the cost means the stakes are high! Couple this with a history of smuggling, overfishing, environmental degradation, and long opaque supply chains with unscrupulous sales people and why bother! 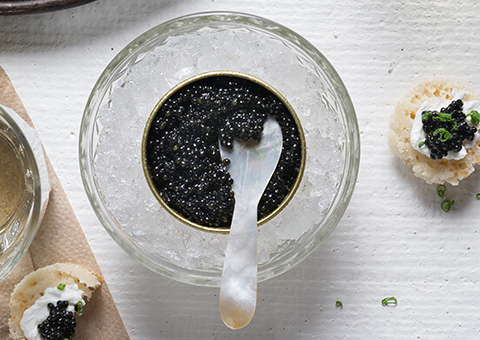 We’re here to make caviar as easy and enjoyable as possible—all the flavor, none of the confusion. Our promise to you is to be 100% transparent so you can trace these eggs from your table to the source (NB we also promise to sample any/ all caviar we send to you… tough job per usual). Caviar is a delicacy consisting of salt-cured fish eggs from Sturgeon. Sturgeon is a pre-historic fish (older than the dinosaurs and the rivers they swim in!) from the Acipenseridae family. Caviar can only come from sturgeon. If cured fish eggs come from a different fish, it is considered to be roe (such as salmon or paddlefish roe). Q: Where does caviar come from? Right now, Island Creek is sourcing its caviar from Sterling Caviar Farms in Elverta, CA. In 1993, Sterling became the first operation to farm caviar in the world. Stay tuned as we add partnerships with other producers. Q: Why have we chosen Sterling? Sterling produces one of the best domestic caviars on the market. We have a personal relationship with the farm and have seen the harvest and processing of caviar first hand. What we saw when we visited: the same meticulous attention to detail and rigorous standards that we have on our oyster farm, and likewise a similar end product: consistent, sustainable and – fabulously – with a unique, complex and appealing flavor experience. Sterling is the same producer whose eggs accompany our Island Creek Oysters in Thomas Keller’s legendary dish, “Oysters and Pearls”. Q: How long does my caviar keep? The caviar is totally fine if it is unopened for 4-6 weeks from packing date (on the bottom of the tin) in the refrigerator. Once opened, the caviar should be eaten within 2-3 days. The longer the tin has been opened, the more the caviar degrades in quality so we suggest eating right away after the tin has been unsealed. Q: How do I store my caviar? The caviar tin should be kept as cold as possible. Pull your tin out of the packaging and put it in a bowl filled with ice. Place in the fridge and continue to replenish the ice so that it stays chilled. The caviar is fine for 4 weeks if it is unopened. Once opened, the caviar should be eaten within 2-3 days. The longer the tin has been opened, the more the caviar degrades in quality so we suggest eating right away after the tin has been unsealed – that should be easy. Q: How is my caviar packed? Your caviar will be packed in a Styrofoam cooler with gel packs around it to keep the product as cold as possible through transit. Please put the caviar immediately in the fridge in the bowl of ice when you receive it. Q: How is caviar shipped? We ship using FedEx Overnight service. You will receive tracking the day before your delivery date when we print your label. Q: How do I serve my caviar? Take the caviar out of the fridge 30 minutes before it will be served. Like white wine, if it’s too cold it mutes the flavor. For more formal service, you can place the caviar tin on ice. For something a little more laid back, you can just dig in. Pro tip: for your first taste, place a few beads on the back of your hand so you don’t taint the flavor of the caviar in its truest form. Go ahead and keep eating it off your hand, but if you feel like sharing, serve the rest of the crowd with a Mother of Pearl or wooden spoon. Metal spoons will change the flavor of the eggs – don’t use them! Q: How do I eat my caviar? While there is no wrong way to eat caviar, our logic is similar to oysters – why disguise something so delicious and unique? Caviar has a whopping 17 discernible flavors and aromas, so go ahead and eat it naked (the caviar, not you, silly). Some simple accompaniments are also okay –a baguette or blini, some crème fraiche, hard-boiled eggs and chives. If you happened to order oysters along with your caviar (we hope you did), put some beads on the Island Creek – the well-balanced flavor of the oyster and caviar will complement one another. Enjoy! Q: These are a gift – is the price included in the order? We only include gift receipts in online orders so you will not see any prices in the package. Q: How do I learn more about caviar? There is a long history of caviar, how it became a luxurious delicacy, made its way to the US, became overexploited, and now is farm raised. Check out the book Caviar: The Strange History and Uncertain Future of the World’s Most Coveted Delicacy. It’s pretty informative and an interesting read. Q: I have an issue with my order. What do I do? 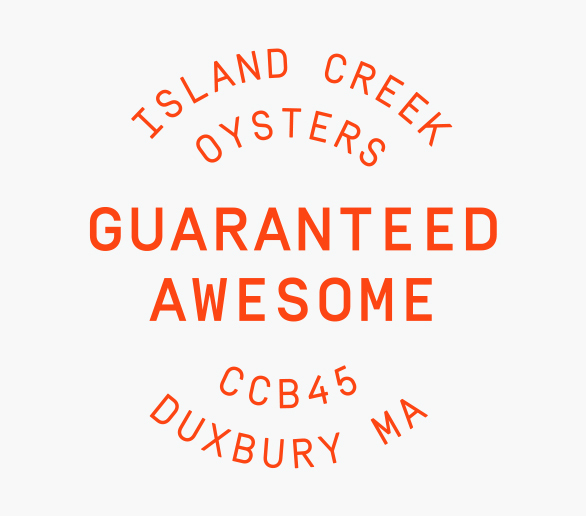 We have a 100% satisfaction guarantee at Island Creek. So, if something isn’t right or you have a question, give us a call (781-934- 2028) or [email protected] – we’ll get back to you as fast as we can. Have more questions? Feel free to give us a call at 781-934- 2028 or email [email protected] – we love to geek out about caviar (and oysters) and would be happy to chat! Email Updates, Farm happenings, Limited-Run Products, Recipes, and Occasional Weirdness (the good kind).